As 2013 comes to a close, I can’t help but think about all the ways that I’ve grown this year. At the start of the year, I was waiting to hear from the Administrative Law Judge’s office to find out when my husband was going to get a date for his Medicare appeal for his CGMS. Before we actually got the date, I saw a Letter to the Editor in Diabetes Forecast Magazine from Janice Allen in Foresthill, California asking why Medicare would not cover her CGMS. That prompted me to Google her name and attempt to find her address. Fortunately Google is an amazing tool and there is almost nothing that you can’t find on it. I wrote Janice a letter and was pleasantly shocked when she called me within a few days of mailing it. That was the start of my advocacy. After I spoke to her, I decided that something needed to be done to change the Medicare CGM guidelines and if not me, who else? I was really tired of sitting on my hands and taking chances day-by-day with my husband’s life because he didn’t have a working CGMS. I started surfing around the internet and came upon the American Diabetes Association Forums. I found a post there from a woman in New York with a reference to CGMS. So I put a comment on the post and that started a wonderful friendship with Sue from New York. We quickly became fast e-mail friends and that translated a short time later into phone friends. Through her, I met Laddie who graciously offered me the opportunity to guest blog on her site. Laddie is one terrific person. Aside from the fact that she’s a gifted writer, she’s a good friend as well. 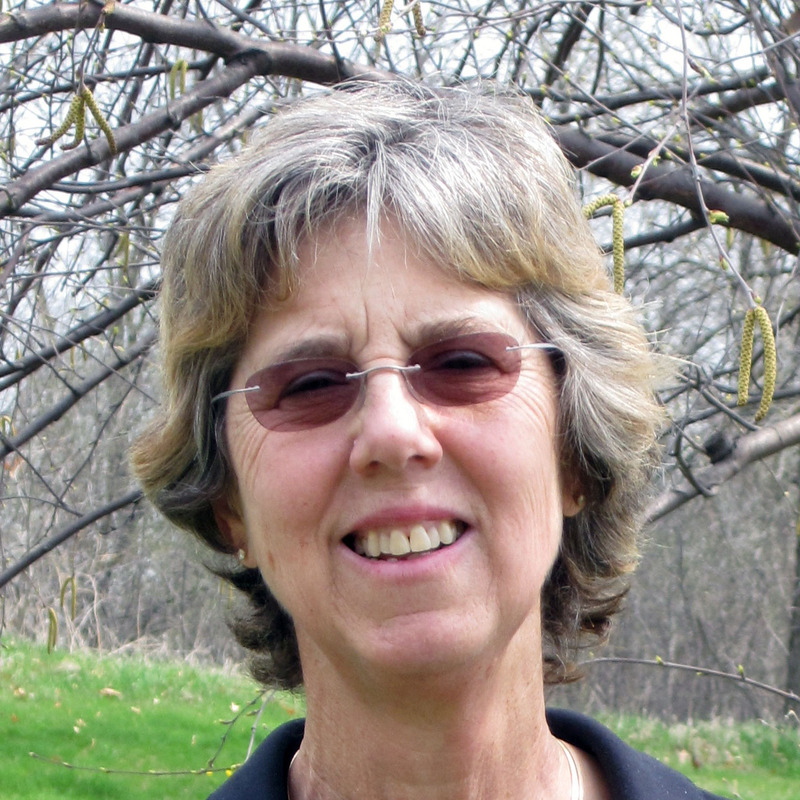 She’s my go-to person for education about diabetes since I am not a diabetic and there is so much that I don’t know about it. She has also helped me tremendously as I navigate the blog world as a regular contributor to Test Guess and Go. After my first blogpost I started hearing from others who were experiencing the same problem as my husband. They also were denied coverage of the CGMS. All are on Medicare; some are paying for their CGMS out of pocket and others, like my husband are going without. All are suffering in some shape and form because of Medicare’s decision not to pay for the CGMS. 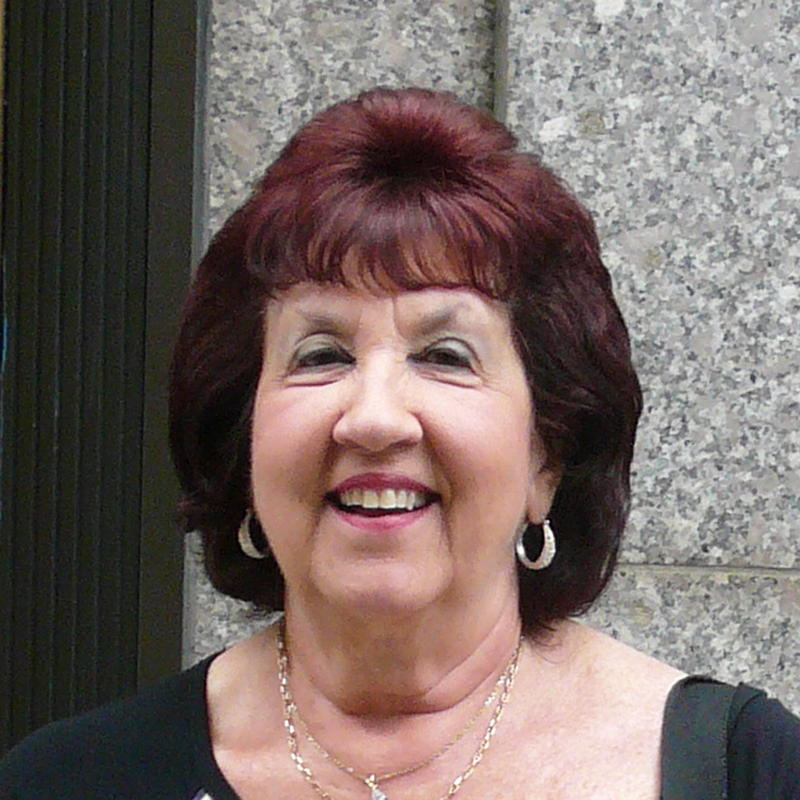 Recently I was fortunate to connect with a Massachusetts woman, Carol Lewis, who shared the information that on December 11, 2013, Congresswoman Carol Shea-Porter of New Hampshire introduced a bill into Congress addressing the problem of CGM coverage by Medicare: H.R. 3710: Medicare CGM Coverage Act – to amend title XVIII of the Social Security Act to provide for coverage of continuous glucose monitoring systems (CGMS) as durable medical equipment under Medicare, and for other purposes. In this bill, CGMS coverage will include a transmitter, receiver, sensors, and test strips required for use. This is the first time, to my knowledge, that anyone in either Congress or the Senate has attempted to do anything about CGMS coverage. In early 2014 I will be posting more information about this bill and asking everyone to contact their Congressperson to request that they support this bill. I have always shied away from calling attention to myself, but over the past year I have found that this is no longer possible. I have a husband who has a specific need and that need is a CGMS which for him is lifesaving. I can’t sit around and watch while he goes day in and day out without one. I also can’t sit around and watch anyone in the future who might need a CGMS go through the same process that we have been going through. It’s long and arduous and there have been many times when I’ve felt like throwing up my hands and packing it in. But each time I’ve felt this way, someone has been there to encourage me to continue. I say that it’s my year of growth simply because along the way, I have learned so much about diabetes. I know that I have much more to learn. Along the way, I have met many people who have now become a part of my life. I have blogged. I have developed a relationship with Jim Bock of Diabetes Forecast. He has been a great source of help in having our story told in the magazine in the December 2013 issue. And recently I have developed a relationship with Congresswoman Shea-Porter’s legal assistant as well as Amy Wotring of the American Diabetes Association. I thank each and everyone who has read my blogs and responded with a comment. I thank Sue and Laddie who have been an integral part of my journey. Most of all I thank my husband Marc who has been my life partner for the past 44 years and who is the reason why this is so important to me. I hope someday in the near future that Marc will open our front door to find a box containing a brand new CGMS that has been paid for by Medicare. To everyone, I wish you a Happy and Healthy New Year. You will be hearing more from me in 2014. 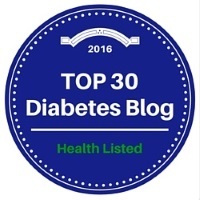 The December topic for the DSMA blog Carnival is Out with the Old, In with the New – Diabetes Style. With this topic, anything goes. Maybe you have a diabetes habit you want to break and replace with a new habit. Perhaps you are going to revamp your exercise plan and trade in an old workout routine for a new one. It could be time to put a new focus on yourself, such as limiting some online advocacy in favor devoting time to things you need to stay healthy and happy. You might be thinking of changing up some current tools (meters, pumps, diabetes apps) for a new version. Or maybe you have plans to make some food swaps or try a new eating plan. What ever it is, we want to hear about it! “Always” and “Never” are two words that are x-rated in my diabetes vocabulary. They are absolutes at opposite ends of the spectrum of possible outcomes for every diabetes decision that I make. They give the illusion that I can expect the same results day after day from identical input or that there is a reward for good decisions and a predictable punishment for bad decisions. They are black and white when most of my life is lived in gray. They have voodoo magical powers that the mere utterance of the word is guaranteed to make the “never” thing happen and the “always” thing not happen. They are the Harry Potter-ish words that like Lord Voldemort “must-not-be-named”. 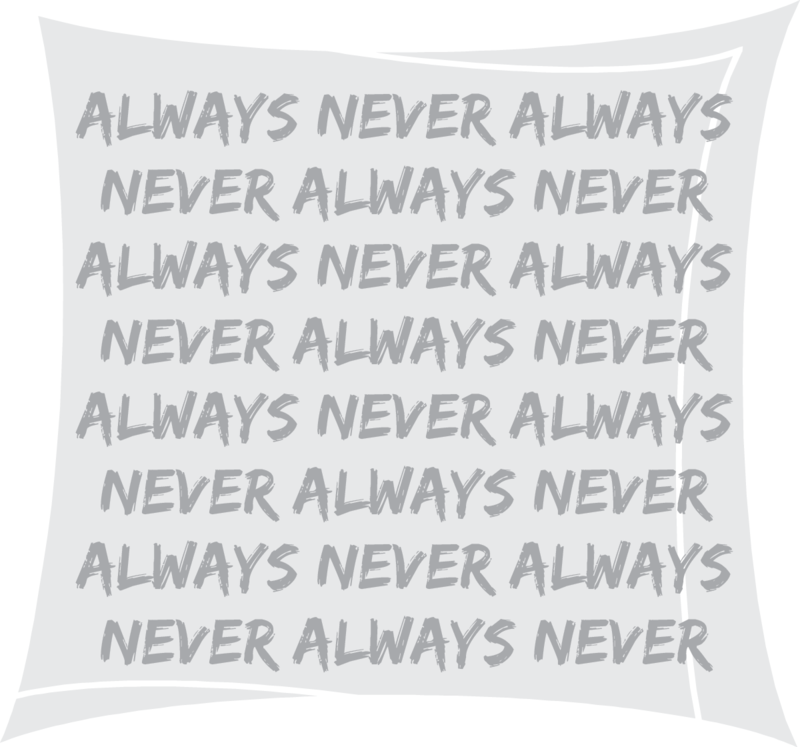 So instead of saying always or never, I tend to phrase my experiences, expectations, and advice with the words “usually” or “sometimes” or “once in a while”. The aim of my diabetes regimen is to do things that work most of the time. Sometimes that means that my breakfast insulin dose yields an in-range result on 7 out of 10 days. Two days I go crazy high and one day I end up chomping glucose tabs to fight persistent lows. Sometimes that means that although I am intellectually committed to a lower-carb lifestyle, I make less-than-optimal decisions and have two bowls of ice cream after dinner. Sometimes that means that I can have a day of high blood glucose readings that seemingly have nothing to do with food, insulin, exercise, pump sites, or anything under my control. Along the lines of always and never, I avoid making New Year’s resolutions or even pledges to forever change my behavior. As the beneficiary of good insurance, I currently own what I consider the latest and greatest medical devices with a pump and Dexcom G4. I am anxiously awaiting the Animas Vibe, but that is in the hands of the FDA and totally outside of my control. One of my strengths is that I seem to be able to wake up each morning with the aim of doing my best and then not drown in guilt over my daily imperfections. My diet is a work-in-progress and my goals for 2014 will be a mirror of my daily hopes in 2013 to do a little bit better than yesterday. Some people look at the advent of a new year as a clean slate to start anew, change habits, and re-invent yourself. I think in smaller blocks. Every day is a new day. Every hour is a new hour. Every minute is a new minute. If I look back a few years or decades, I can see that I have changed. My diabetes technology has improved along with my types of insulin, diet, and social support. But there is no single moment when these changes happened. It is all a blur and a morph from this to that. In summary, although I hate to use the forbidden words, I ALWAYS hope that I can end each day knowing I tried my best and that my best will be sufficient to keep me healthy for many more years of Type 1 Diabetes. And I hope that I will NEVER be less than supportive and appreciative of my many online and offline friends who share my sweet and pancreas-impaired journey through life. This year and next year and the next year. On Monday evening, December 16, I had the privilege of listening to Haley Doyle talk about her introduction into the world of Type 1 Diabetes. Everyone with diabetes has a unique and powerful story, but Haley’s story hits it out of the ballpark. Haley Doyle is currently a Senior at the US Naval Academy in Annapolis, Maryland with a double major of Aerospace Engineering and Russian. Haley’s road to that prestigious school reflects an incredible personal story of commitment, intelligence, and a passion for life that is rarely found. Her story will emphasize family, opportunity and living life to the fullest despite being diagnosed with T1D during her Freshman year, jeopardizing her military ambitions and career path. 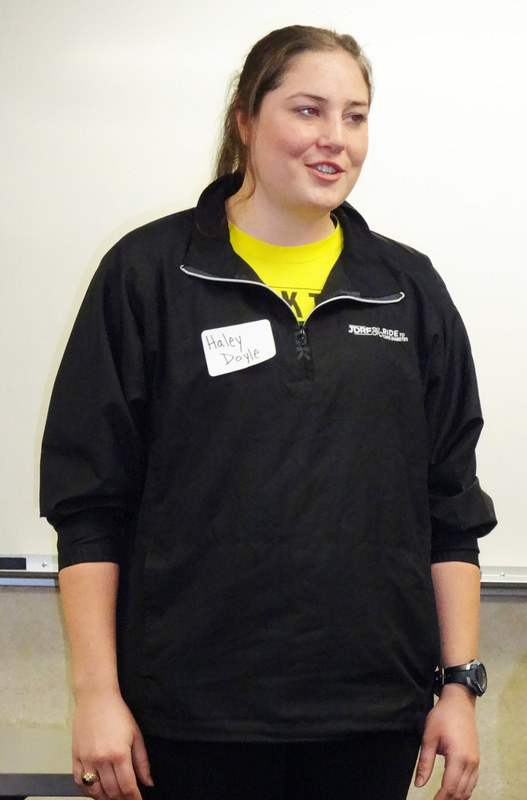 Haley Doyle is an overachieving, yet humble, young woman from Kansas, who has a story that you will definitely want to hear. Haley was diagnosed with Type 1 Diabetes in February of her Plebe year at the United States Naval Academy in Annapolis, MD. Most of us would guess that she would have immediately been dismissed from the service academy, but with grit, determination, and support of her commanding officers, she persevered through 3+ years of medical boards, recommendations for dismissal, rigorous training missions, and a challenging academic load to be on track for graduation in the spring of 2014. Lest you think that this is a Pollyanna story, Haley will be medically discharged from the Navy upon graduation. The civilian workplace will be the beneficiary of the tremendous talents and military training of this young woman with a defective pancreas. I asked Haley if she thought that people with Type 1 should be able to serve on Navy ships or at the front lines of military conflicts. Like me, she has no definite answer. She understands that a low blood sugar or a broken pump could jeopardize an officer’s ability to effectively complete a mission or provide leadership to guide and motivate the soldiers in her command. But she has climbed mountains in Alaska, she can do a million push-ups, she has scuba dived in the Caribbean, and she has completed a JDRF 100-mile bike ride. I don’t know the right answer and neither does Haley. I would argue that rather than lose the talents of anyone like Haley, the Navy should commission her in a restricted line corps position. Maybe someone with Type 1 Diabetes shouldn’t command an aircraft carrier in the Gulf of Yeman or be pilot of a F/A-18C Hornet. But she can design bridges in the Civil Engineering Corps. She can coach the varsity women’s crew at the Naval Academy, she can provide inspiration for numerous high school students thinking of entering the military, and she can serve her country. As a tax-payer, my money to train Haley has been wasted. As someone with Type 1 Diabetes, I know that our country has squandered its investment in the education of a fellow T1. I am disappointed and I am angry. But thank you, Haley, for reminding me how strong and talented we T1’s are. And thank you, JDRF, for sponsoring our Adults with Type 1 group. You have introduced me to Tim who is a Joslin Medalist after living with Type 1 for 50 years. And Wally who is at 49 years. And Connie who long ago passed 40 years with Type 1. Then Christine who bikes in JDRF rides and this year will raise $10,000 for diabetes research. And Katie who taught me about arm and hip sites for my Dexcom CGM. And Chad who is quiet, but doesn’t miss a thing when it comes to Type 1. Plus Doug who runs in marathons and just welcomed(?) his sister into the Type 1 universe. We missed Cynthia at the December meeting, but she constantly reminds me that I need to nurture my soul as well as take my insulin. Scott also missed this presentation because he is in Europe with the mySugr guys. I am inspired by all of you and proud to be your friend. On Monday I published a blogpost complaining that I had been stuck on Level 149 of Candy Crush for over a month. 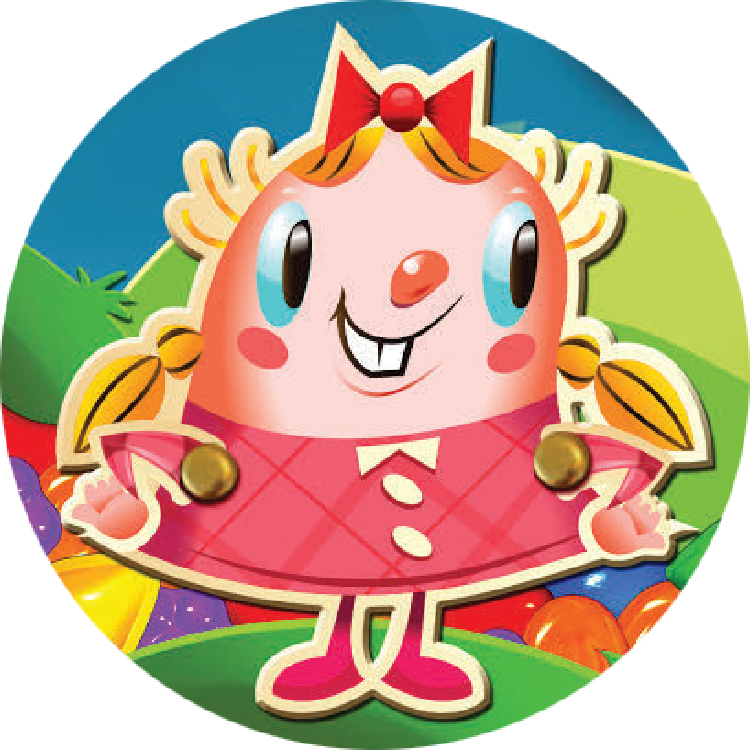 Shedding the tears of my candy heart persona, I whined about the frustrations of Candy Crush and expounded on the similarities and differences between diabetes and Candy Crush. Just a few days later one of my problems has been solved. Less than thirty-six hours after that post, I managed to pass Level 149 with moves to spare and a reward of three stars. Was it skill or dumb luck? Was the blogpost a special candy? A priceless booster that I earned through intelligence, good looks, and hard work? I have no idea and I don’t care. All I know is that the dancing girl jumped up and down to celebrate my victory. I can finally move to Level 150 and cruise along for a while until I become mired in another frustrating impossible-to-pass level. Lest you get too excited about the power of the written word in the blogosphere, I only solved one of my problems. I still have diabetes. I’ve been playing Candy Crush Saga for eight or nine months. It was fun at first as I sped through the easy levels. Now I’m not even sure that I like it anymore. I tend to get stuck on hard levels for weeks at a time. I refuse to invest money in the game and never purchase boosters and special candies that might speed up my journey to victory lane. I play quests for three days to unlock new levels rather than pay $.99. I don’t beg my Facebook friends for extra lives because I’m usually relieved when I run out of lives and don’t have to play anymore. I’m currently on Level 149 and am not convinced that I will ever make it to Level 150. There might be some element of skill that I’m lacking, but I suspect that only a burst of pure luck will propel me past this roadblock. I know that I have gained some Candy Crush mojo because whenever I play the beginning levels for fun, I find them to be much easier than they were the first time around. But in general my experience has been that when I finally conquer a difficult level, it’s primarily the result of luck with lots of candies and explosions rather than any convergence of skill and strategy. I always feel relieved to move to a new level, but rarely do I revel in a feeling of accomplishment because I never know why I finally won. Most of us find Type 1 diabetes to be a cruel taskmaster. It’s hard to keep our blood sugars in range even when we make good decisions and follow the rules. Blood glucose meters and CGMs give us daily feedback, some which is positive and some which is negative. Quarterly or semiannual A1c’s are our report card. Yeah, they’re just numbers, but somehow they burrow their judgements into our souls. 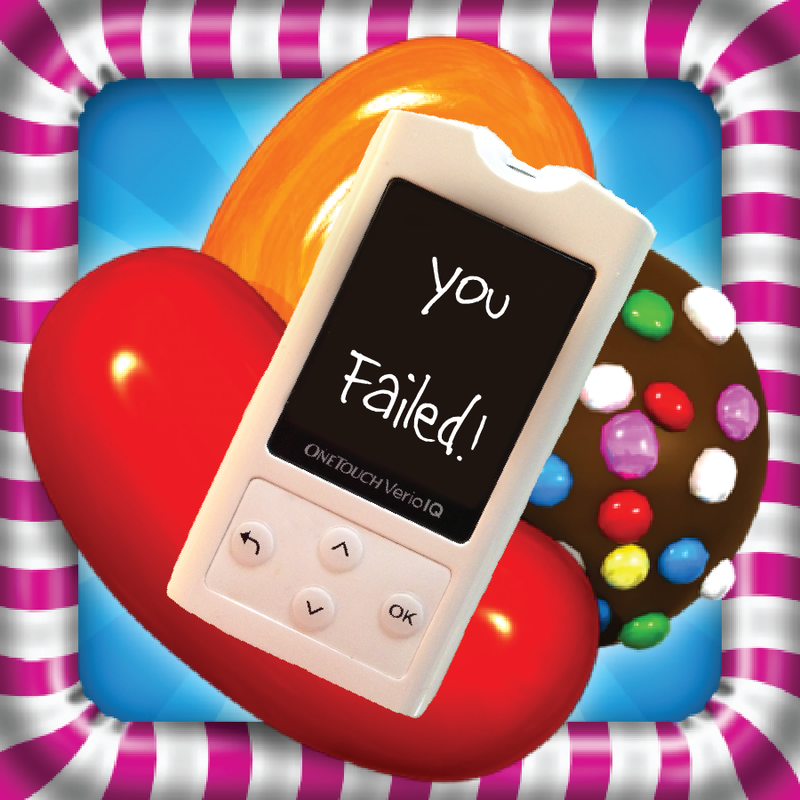 In a Candy Crush diabetes world, our blood glucose meters would provide comments along with our numbers. In response to an elevated number like 281, you’d get a scolding along the lines of “You failed! You are out of range! Try again tomorrow.” These accusatory rantings would of course be accompanied by a little dancing girl with a big frown. A worse scenario might be a crying candy heart which gives you the message that you have “no more lives” and it will be 23 minutes 17 seconds until you get a new life. In this world there is no reward for trying hard and no respite from the repercussions of failure. Fortunately diabetes is somewhat kinder than Candy Crush. Most of us who participate in the Diabetes Online Community (DOC) work hard to support each other and remind ourselves that we are not defined by the numbers on our diabetes scorecards. We celebrate our victories and retweet congratulatory messages of “Wonderful. Level completed!” If I were to label someone or even myself as a failure, I would quickly become the victim of universal condemnation by my fellow D-peeps. In many ways my diabetes is a saga that is not that different from Candy Crush. Every win is hard fought and has elements of luck and skill. Failures are rampant with the only recourse being to try again. The game is seemingly endless with each victory just sending me to another challenge with a slightly different scenario. Chocolate is an epidemic roadblock to success in Candy Crush and there is no doubt that chocolate has more than once undermined my attempts to tame the carbohydrate-craving monster that lives within me. Rumor is that there is a conclusion to Candy Crush, but it is not in sight for me. I wonder if that finish line is similar to the ubiquitous promise of a diabetes cure in five years…. I suppose that there is one huge difference between Candy Crush and diabetes. Although it might be difficult to do, I can choose to stop playing Candy Crush and turn my back on striped candies, color bombs, and jelly fish. But with Type 1, there is no deleting the app on my iPad. I can only keep playing the game while accepting my successes and failures and doing my best to keep moving forward. I think I’m on Level 1,856,913 of diabetes. What’s the prize? I’m not quite sure, but I think the prize is getting to play again tomorrow. And the next day. And the day after that. 1. I wish that frying potato latkes wouldn’t mess up my entire kitchen. The oil gets all over everything and grating potatoes is a hard thing to do. 2. I wish that I lived part time in Atlanta so that I could see my two children, my son-in-law and granddaughter more often. 3. I wish that in my retirement years I didn’t have to spend so much time trying to fight Medicare for a CGM for my husband. 4. 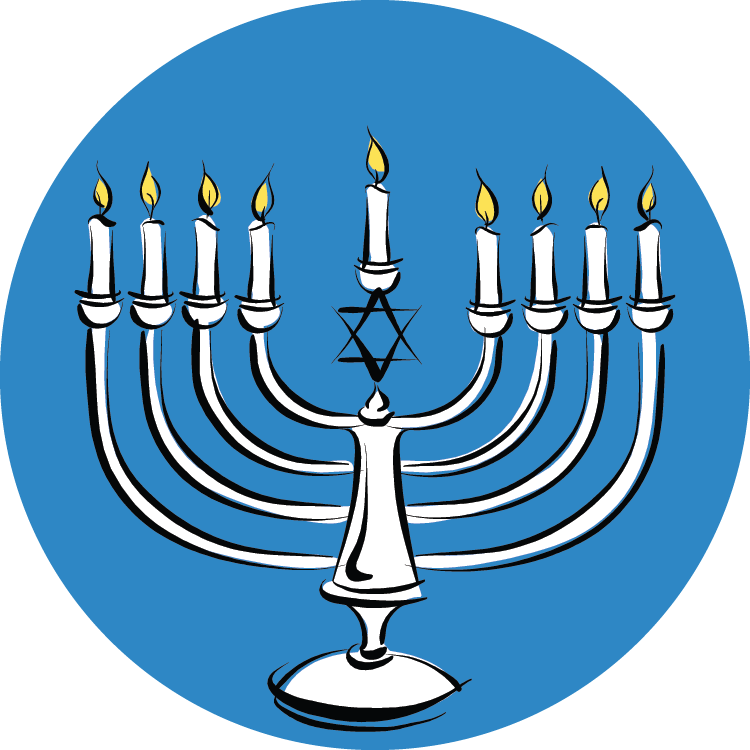 I wish I could be a kid again for the 8 days of Chanukah so that I would get 8 gifts, one each night. 5. I wish that Laddie, Sue from New York and myself could sit down together and have a cup of coffee. 6. I wish I could eat anything that my heart desired and not gain any weight. 7. 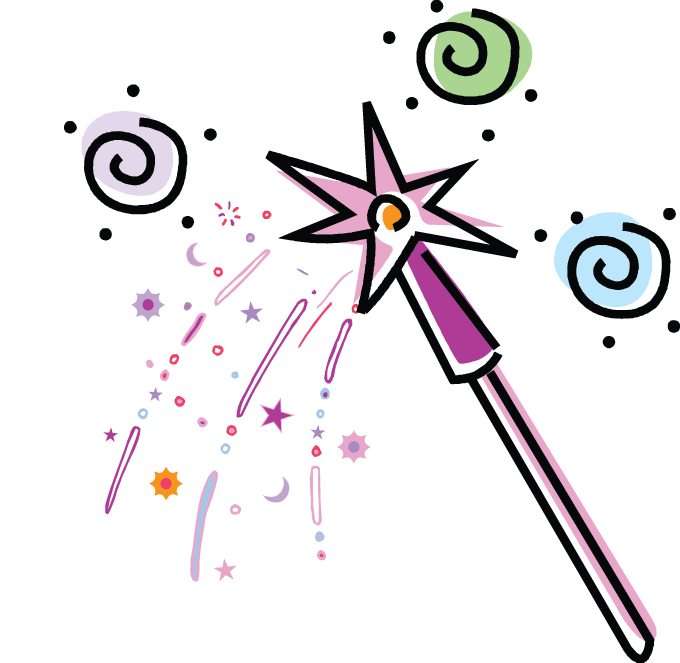 I wish that I could tweak my nose and have my house magically get cleaned. 8. Most of all, I wish the decision from our Administrative Law Judge would get here. Waiting for over five months…and still waiting…is way too long. I wish that foods that don’t need sweetening weren’t always loaded with sugar. Chicken salad used to be a friendly food for me but most restaurants now add various sweeteners to the dressing along with dried cherries or cranberries. On a related issue, I wish that Whole Foods and Panera Bread didn’t think that filling a food with honey makes it health food. I wish that my best was better than it is. I wish that when I was reading a book on my iPad that I didn’t keep switching to Candy Crush or to Pages to work on a blog post. I wish that I had a large house to live in and a small house to clean. I wish that I had as much willpower as everyone thinks I do. I wish that I could be young again with the wisdom and happiness that being older has given me. I wish that I didn’t constantly miss the “a” on my iPad keyboard and keep typing “disbetes”. I wish that winters weren’t so cold in Minnesota. I wish that I enjoyed cooking because then I would have better meals to eat. I wish that I could be a guy every November and December and have Thanksgiving and Christmas magically appear. I wish that I could be friends with all of the people whom I’ve met through diabetes without any of us having diabetes.